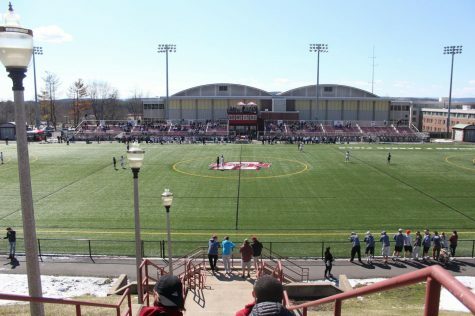 Garber Field will host one of the top men’s lacrosse games of the 2011 season on Saturday. The matchup features two Top 25 teams, the No. 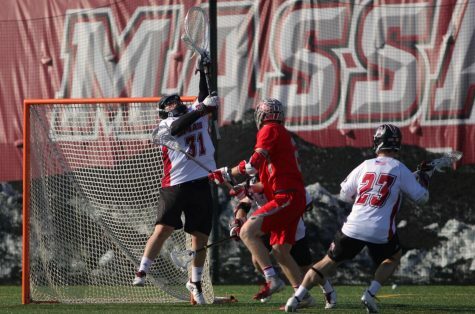 16 Massachusetts men’s lacrosse team and No. 12 Army, as they will compete to open up both of their seasons. The Minutemen enter into Saturday’s game riding on the heels of an impressive debut against Siena. 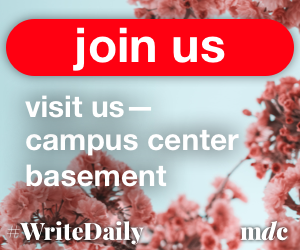 In the scrimmage between the two sides, UMass scored some early goals and worked out some defensive kinks in preparation for the upcoming game against the Black Knights. 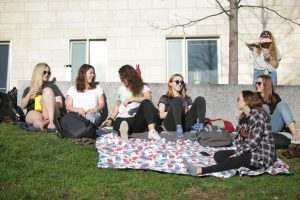 What makes the contest between Army and the Minutemen so interesting is that for the past five years, the Black Knights have been the typical preseason scrimmage team for UMass. The last time these two teams met in a competitive, regular-season game was in 1998. “[It’s a] totally [different mentality]. 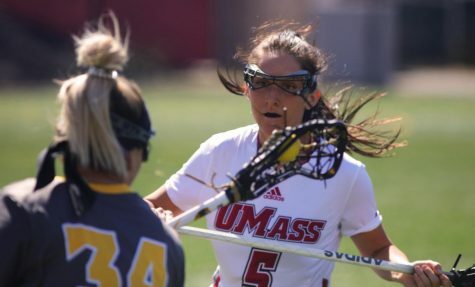 You’re not as worried about the result, you just want to be able to play well and find out more about your team,” UMass coach Greg Cannella said on the difference between a scrimmage and regular season game. With a 13-year gap since their last competitive match, the Minutemen still lead the series, 10-9, and are 3-1 against the Black Knights since Cannella entered in as head coach. This season, both teams have something to prove following their respective mishaps at the end of last season. 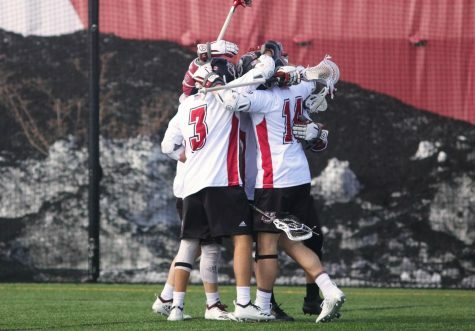 For UMass, a good start to last season crashed when the team lost four of its last five, including a Colonial Athletic Association semi-final game against Towson. 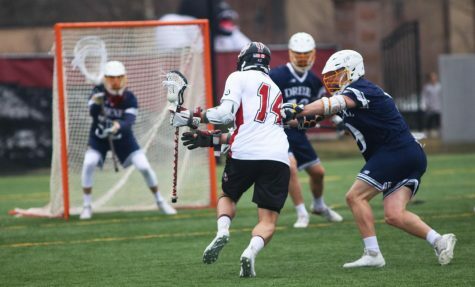 Meanwhile, Army’s mishap came in a beating taken in the NCAA quarterfinals against Cornell, which finished the Black Knights’ run with a 14-5 win. 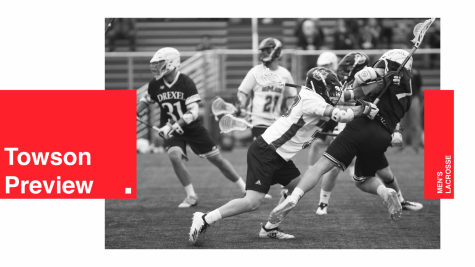 With their seasons’ conclusions still fresh in their minds, both the Minutemen and Army enter into this season looking for vengeance. 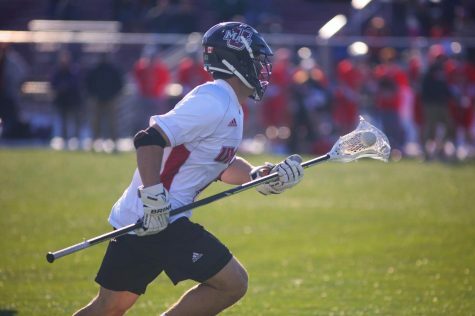 For the Minutemen, sophomore attacker Will Manny will make his return to Garber Field after earning CAA Rookie of the Year honors last season. Manny will look to improve on his 27 goals and 18 assists from 2010 as he also tries to build on his leadership ability. Still, Cannella doesn’t want Manny getting content with how he played last season and use that as an excuse for the unfolding schedule. Manny’s biggest test on Saturday may be against Bill Henderson, an All-American defender for the Black Knights. Henderson was also named the 2010 Patriot League Defensive Player of the Year, and will be a dominate force for Manny to deal with to open the season. 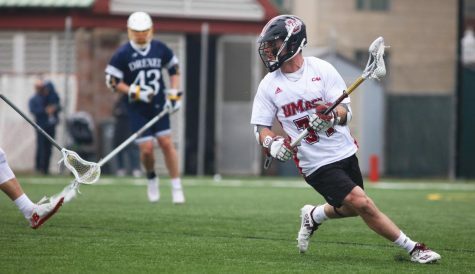 While Manny will try to build up his leadership, UMass is currently led by its three captains in goalie Tim McCormack, defenseman Casey Rahn and midfielder Ryan Hantverk. The trio will look to work well against one of Army’s top players in Garrett Thul, who, like Manny, was a top freshman last season. Thul was named 2010 Inside Lacrosse National Rookie of the Year with 41 goals in the gold and black jersey. 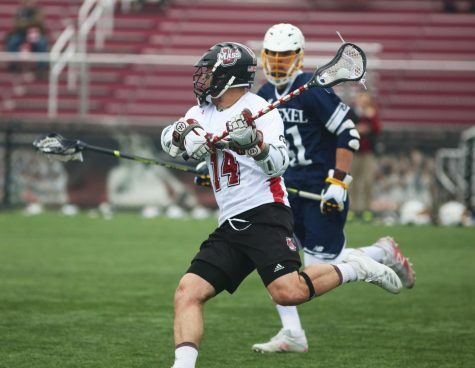 Thul and the rest of the Black Knights will enter Garber Field on Feb. 12, which was the same date as the season-opener for UMass last season. Unlike last season’s opener against Sacred Heart, Saturday’s affair will pit the Maroon and White against a top-tier opponent. 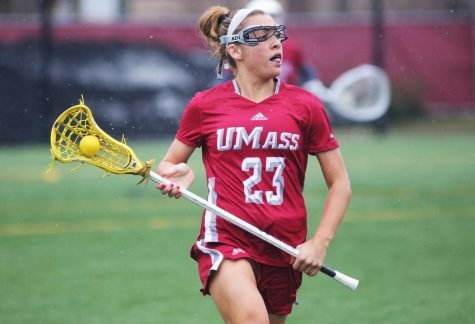 UMass players have been practicing on Garber Field for the past few weeks, even through the dismally-cold weather that has plagued the Western Mass. area. While some may get discouraged and beaten by the severe weather, the Minutemen felt much differently. The game kicks-off at 1 p.m. at Garber Field.